Cookieontheloose – Sometimes a needle and thread is all you need! I was able to test the DIBY Club pattern for The Duchess skirt early to review and it is definitely a breathe of fresh air! I’ve been looking for a maxi length skirt to make where I won’t feel so hot in the summer! I am ALWAYS hot! This skirt features a high low factor in the skirt to help air flow through and has a conservative or higher cut choice! You can also choose maxi length or midi length. For my skirt I chose the conservative cut but at a maxi skirt length. 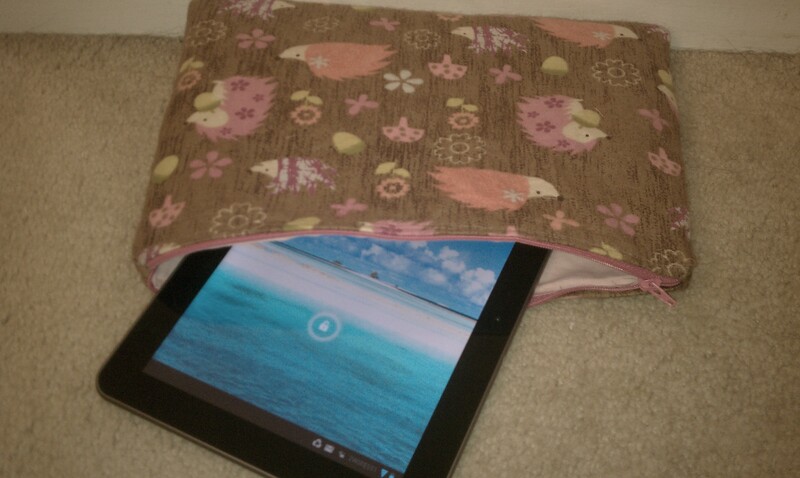 For my fabric I used 3 yards of double brushed poly from So Sew English. This fabric is so soft and amazing you never want to take it off. I wasn’t sure how it would be as a long skirt and a little worried it could be too heavy, but it was perfect! As you walk the air catches it and there is no way of getting hot in it or it feeling too heavy. The Duchess pattern has an incredible size range it goes up to. I made myself the 1+ and to be honest I think the 0+ would have fit great for me too. 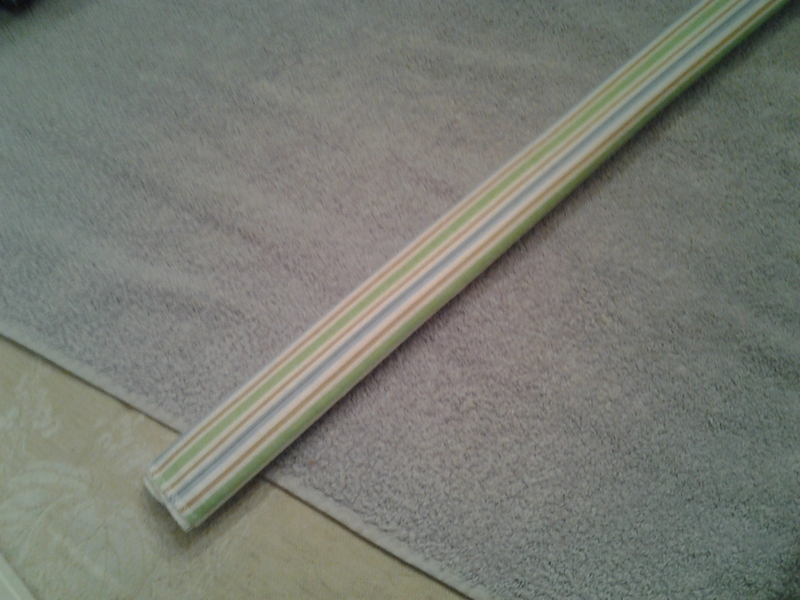 I went based on my measurements and did not add any length. I am 6’0 tall and was so happy to see this wasn’t too short for me after not adding length on the bottom! I added the double yoga band on the top for extra belly coverage and for wiggle room to lower the skirt in case it did end up being too short. Since it was perfect I just use it now as a tummy sucker inner!! HAHAHA After making the double yoga band I’ve also decided it would make an amazing maternity band for anyone who is pregnant. Made in double brushed poly it has a lot of stretch to it so if I were pregnant I would have no problem still wearing this skirt with no alterations! I really wish it had been a windy day to show off more of the movement of this skirt as you are moving and walking. It captures the air around you and flows in a way to make you feel as though you are really wearing something to really take peoples breath away! This skirt is something I can dress both up and down and wear to any occasion even if it’s just sitting on my front porch enjoying the sunshine! I can’t wait to make more of these and try out the midi length as well! Get yourself over to DIBY CLUB and download The Duchess today!!! 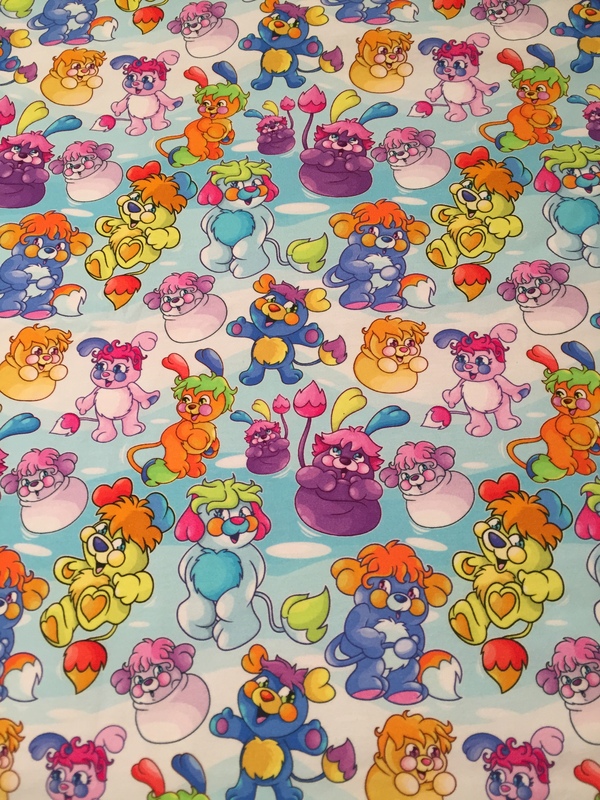 Who will admit they are an 80’s baby like me and LOVED the Popples?!?!?! 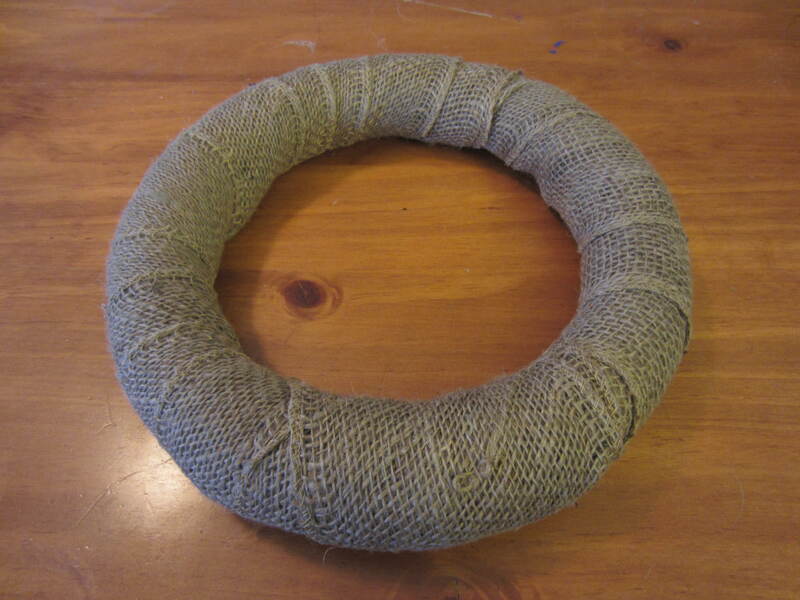 I came across this amazing Cotton Lycra knit in a custom knit destash site and POUNCED! 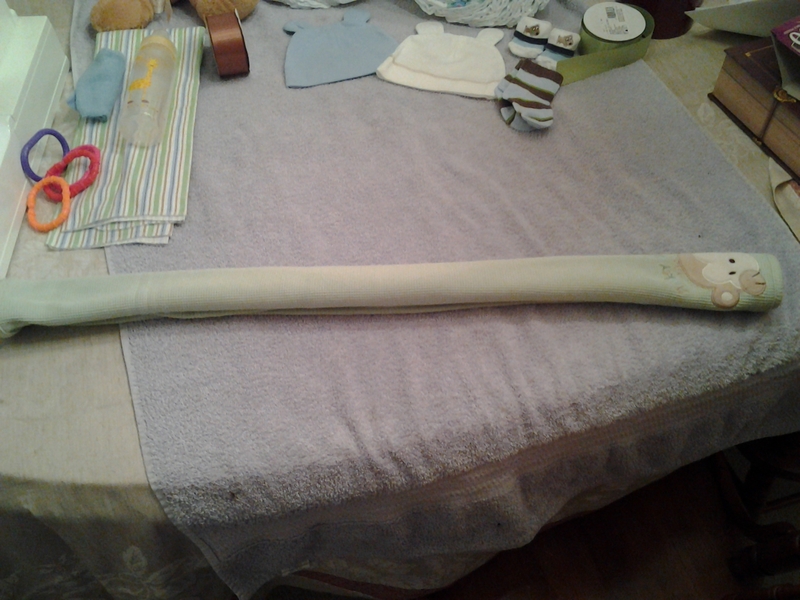 I only got a yard so I wanted to use the fabric in a way that I could stretch it out a long way. Halla has an AMAZING pattern I love using for little girl dresses called the Sunny Day Dress. I love it because it starts at size 0-4 months and goes all the way up to size 12/14 year. Many times I have a customer that wants a dress for both a new itty bitty and their older sibling over 5T. This dress also has so many variations to it. 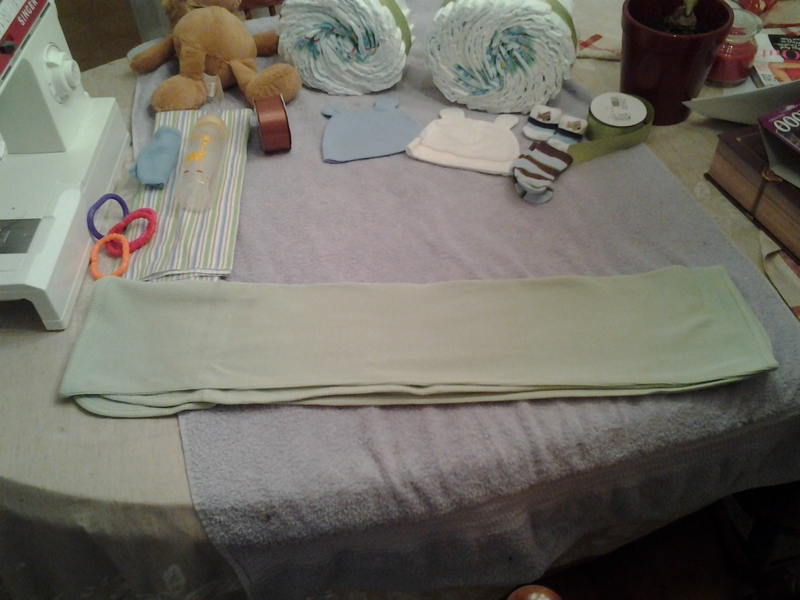 I can add a hood, flutter sleeves, pockets, peter pan collar, or even make it sleeveless. The options are almost endless! 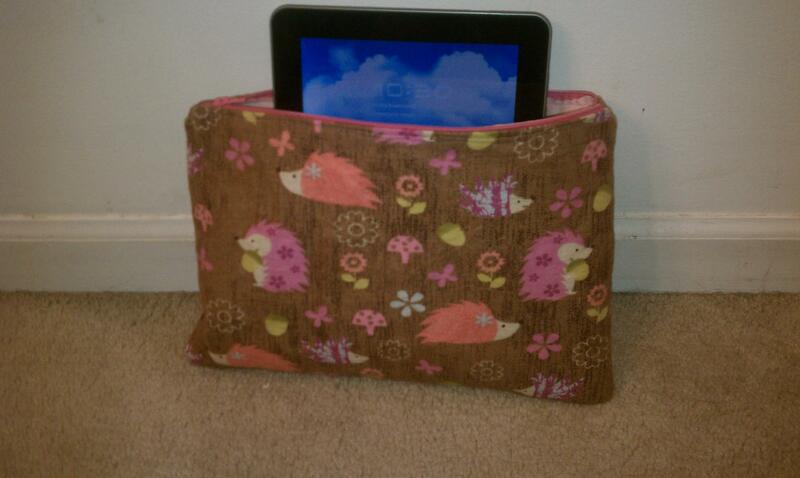 It’s a pretty quick sew also after you get the hang of it! I have been having LOTS of requests for flutter sleeve dresses so I decided to make a 18-24 month flutter sleeve dress to see how it would look and am in love! I love that it adds just the right amount of Popples to the dress while not over doing it! I paired it with a light rayon spandex from one of the many bundles I’ve bought from So Sew English. If you are not familiar with their bundles get familiar! Their fabric is amazing! 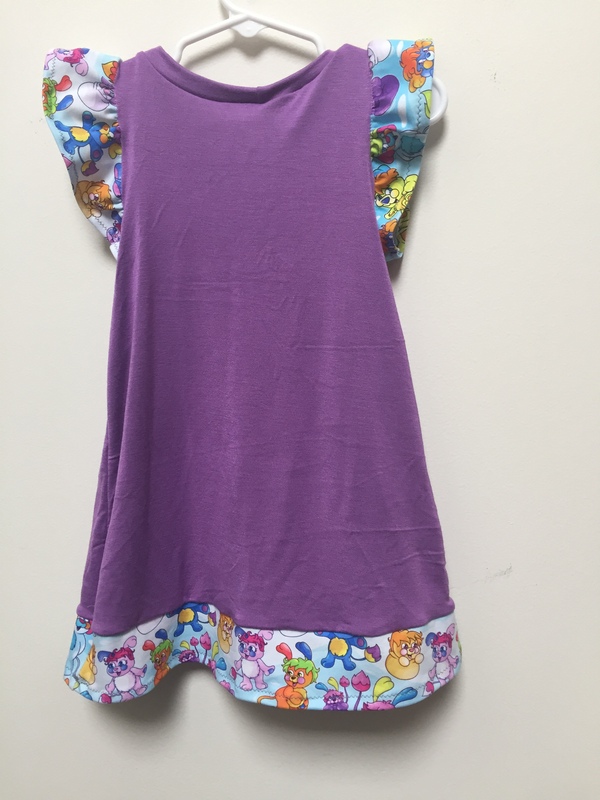 The back is adorable and gives a nice trim of Popple still with the Flutter sleeve. I’m in love and need a girl to put it on ASAP!!!!!! Stay tuned for more of my sewing adventures!!! 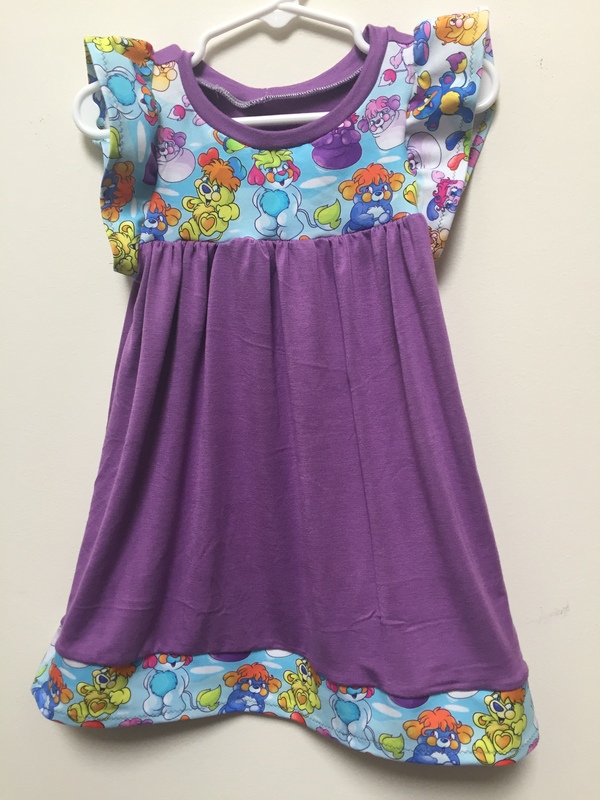 You will find the Popple dress available for purchase at my Etsy shop here! Be sure to check out my Facebook group page HERE for sales and discounts throughout he year! Sew happy to be back! Well, it’s been a little while since I’ve updated this page. I have started a sewing business called Cookie on the Loose since I last posted. I mostly make baby and toddler clothes, but also dabble a little in making adult women’s clothing for friends and those who find out I can sew! I hope to keep this page updated with my most recent creations to show you all what I’ve been up to. As I started on this journey the last year it’s been fun to watch friends be inspired enough to get their own sewing machines out and start using them!! It’s amazing to me how many of my friends actually have a sewing machine, but don’t know how to use it. Hopefully I can give those who are afraid of their machine some guidance and motivation to give it a try! 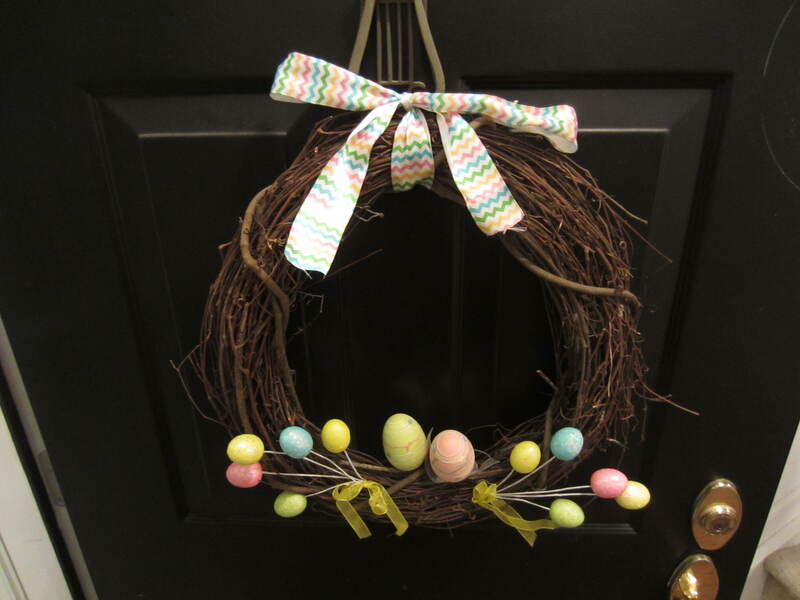 After making my Christmas wreath I knew I couldn’t just go and buy a new wreath for Spring! 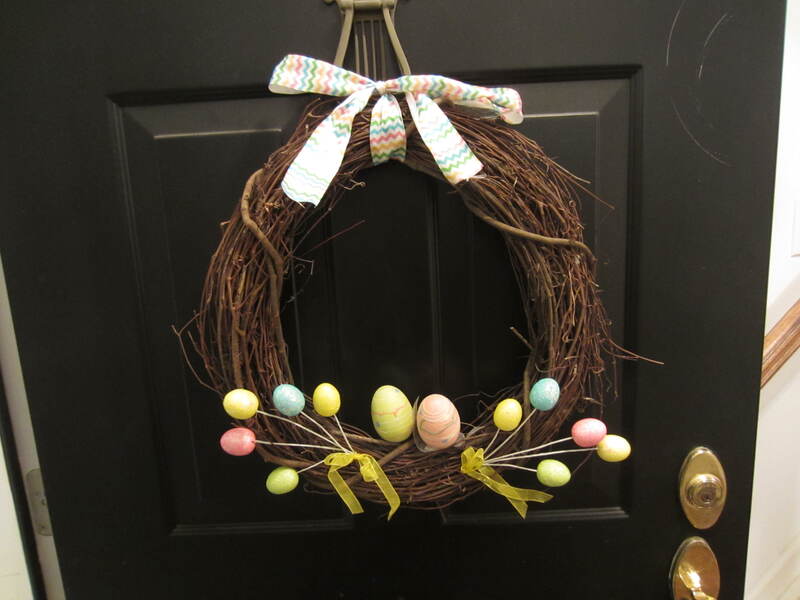 I went to Michael’s and found a wine branch wreath for $4.99 and some fun spring doo dads to put around the wreath! I didn’t use any glue this time and was able to just wrap my items into the wreath. SUPER EASY! Took me a total of about 20 minutes! 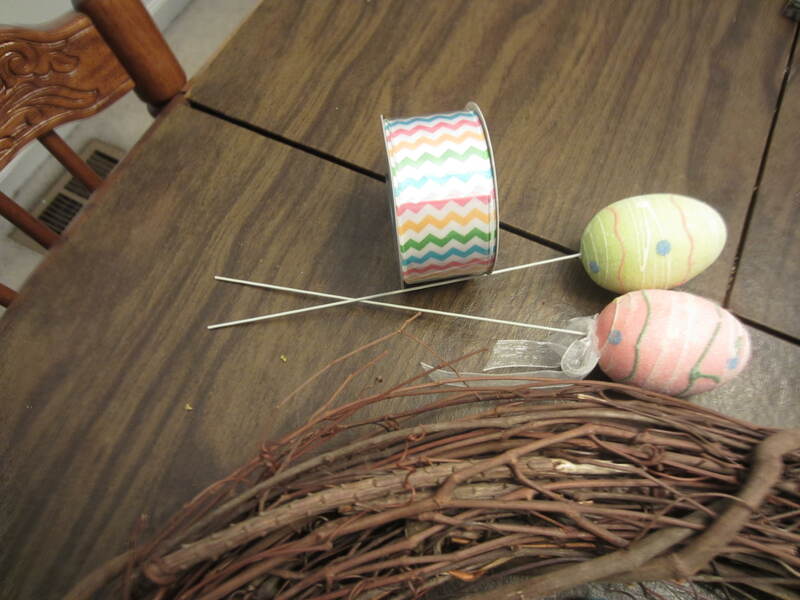 2 doo dads that have cute little Easter eggs attached at the ends and the white stem is bendable. I also left the yellow ribbon on them. First I took each of the two multi stems on each side of the wreath. I twisted the back to make them stay in place. I decided to keep the yellow ribbon on them stems because I thought it looked better with them on than off. Next I put the two single eggs in the back and twisted the white ends up and bent them around a bit to make them stay put. DONE!!! 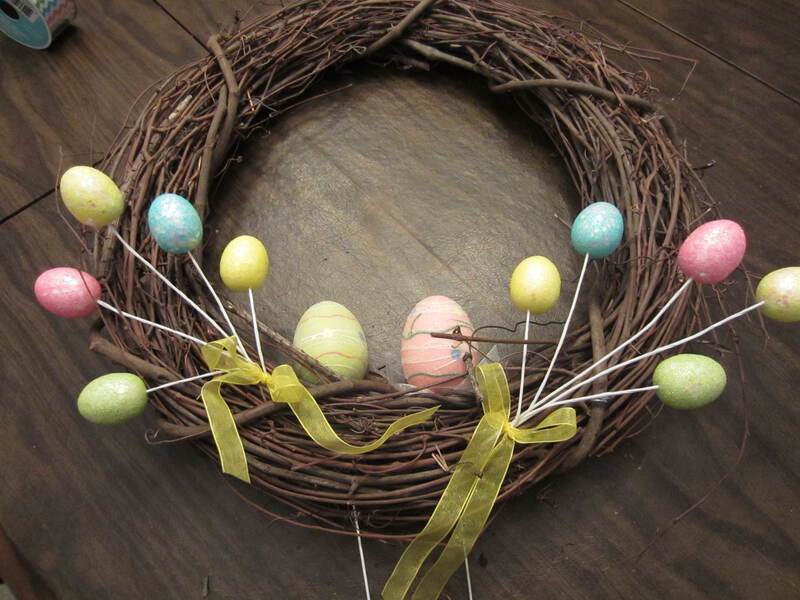 You can use anything you find at the craft store to make your own so get creative and have fun!!! 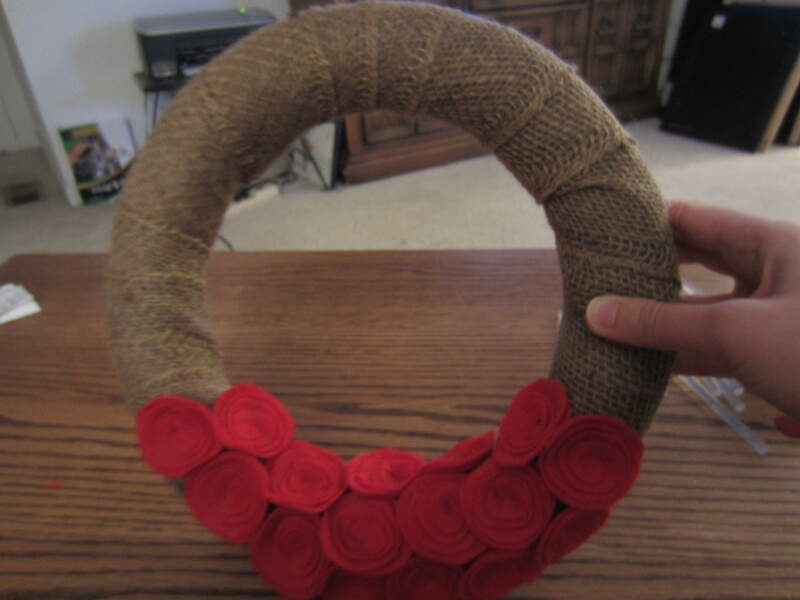 This fall I made a wreath featured on Repeat Crafter Me’s Website! Using this same inspiration I decided to make another wreath for Christmas. I wanted something cute yet easy. I’m pretty pleased with how it turned out! 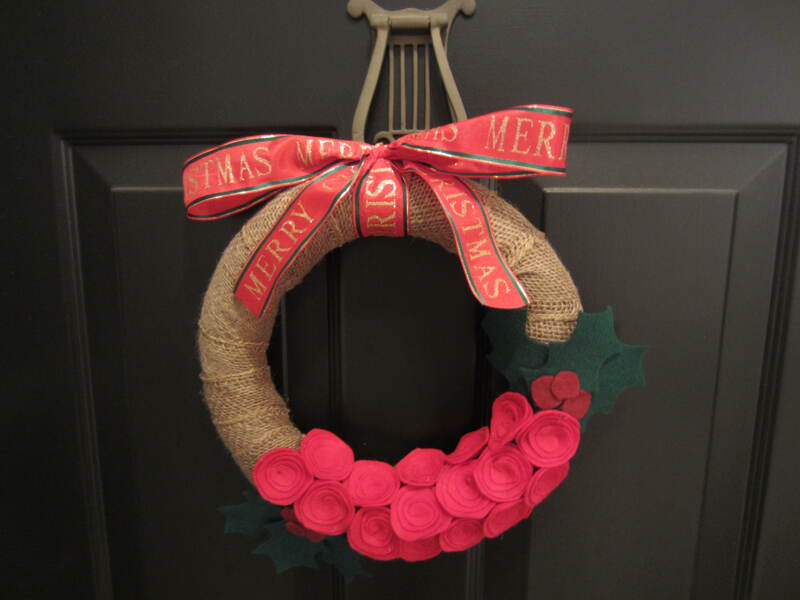 First start by wrapping the styrofoam wreath with the burlap. I got too excited to make this and do not have a picture of this step. 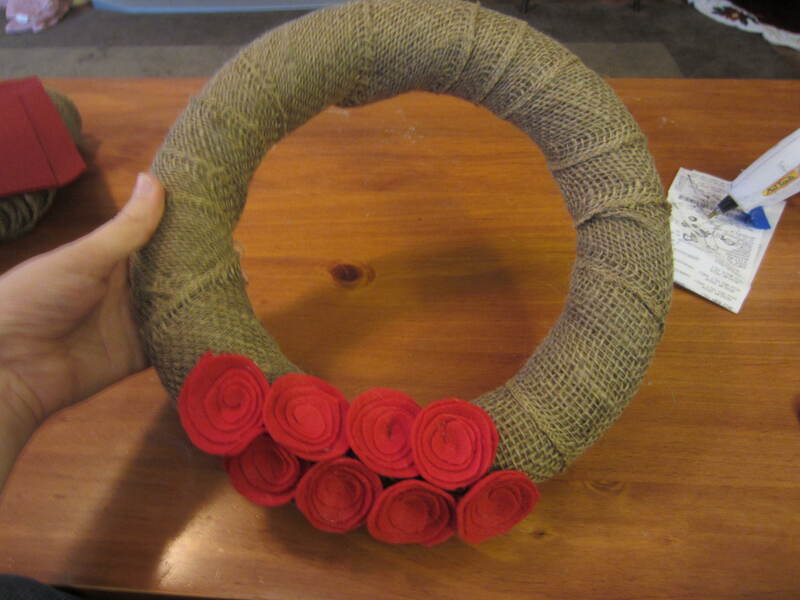 I glue down where I start so that it doesn’t move as I’m working the burlap around the wreath. Once I get all the way around I go over it a few more times and then glue it in place. I glue the back of the wreath so it won’t be visible. 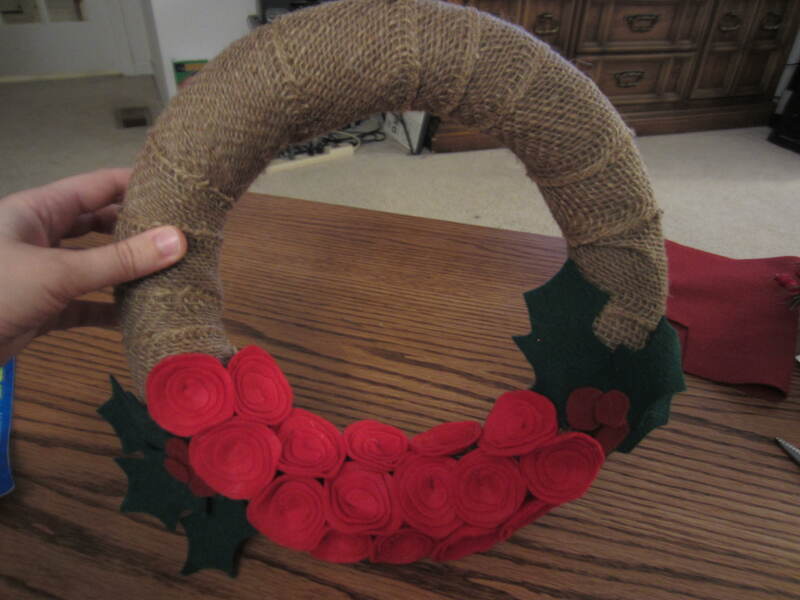 Once you are done your wreath will look like this. Now you will want to make your flowers. 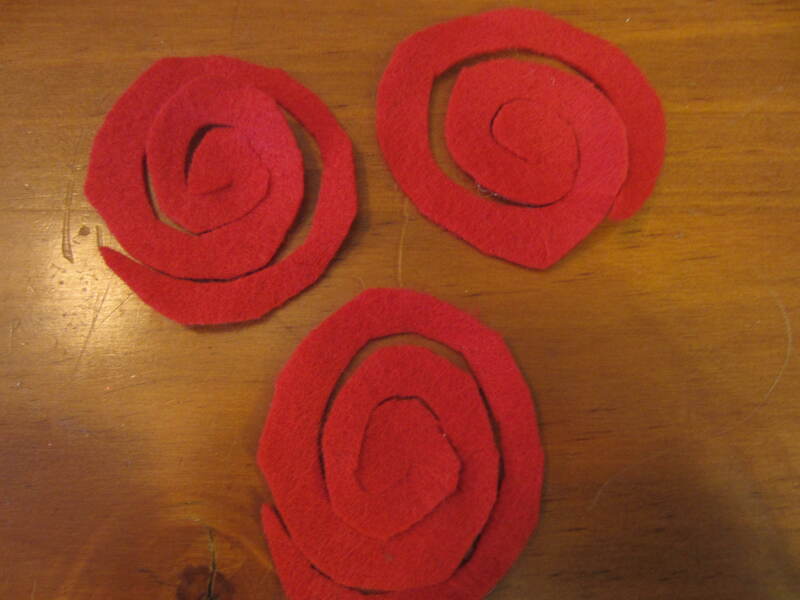 For this you take your red felt and cut 16 circles however large you want your flowers to be. Once you have your circles you will start to cut into them to make them into spirals like this. 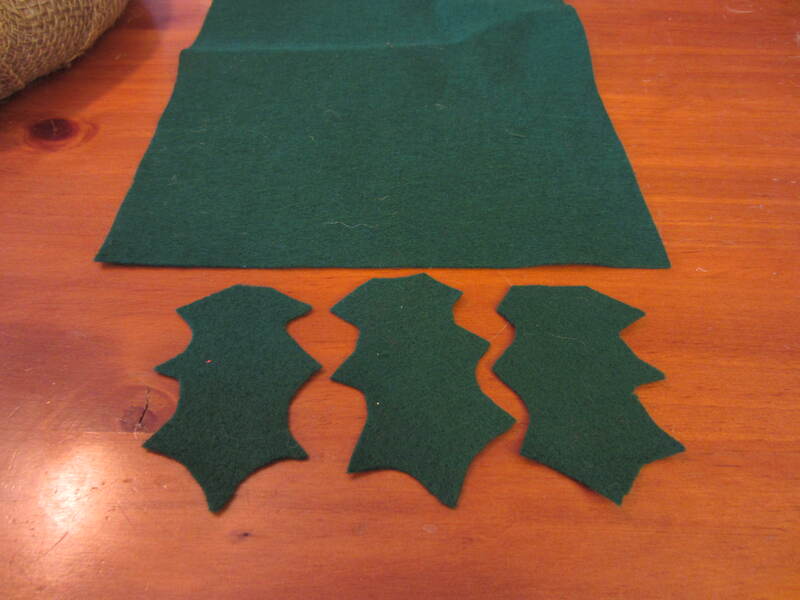 Next take your dark green felt and begin cutting leaves in whatever shape you like. I tried to stick with more of your traditional Christmas holly leaf. Remember it doesn’t have to be perfect! I made 6 of these leaves. They will look like this. 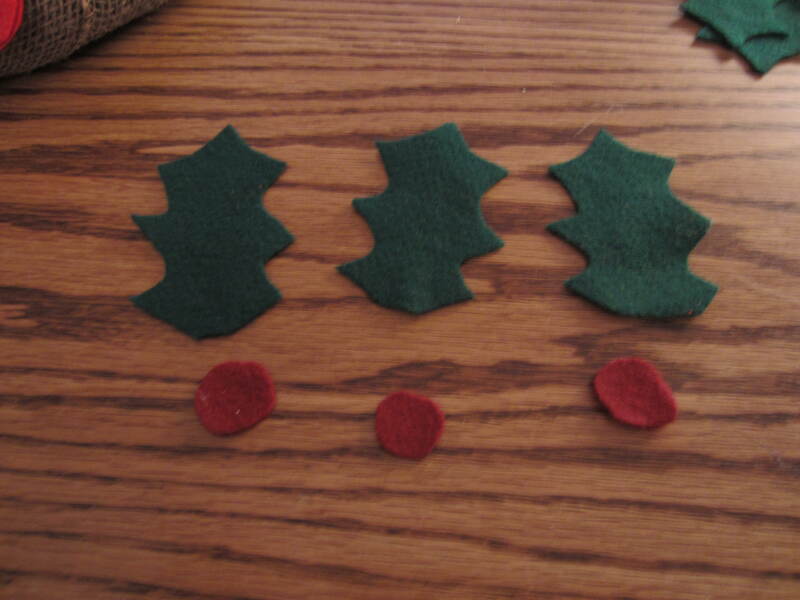 Now take your deep cranberry red felt and cut out 6 very small circles. These will be your holly berries to go on the holly leaves! Now we are ready to begin putting out flowers together. 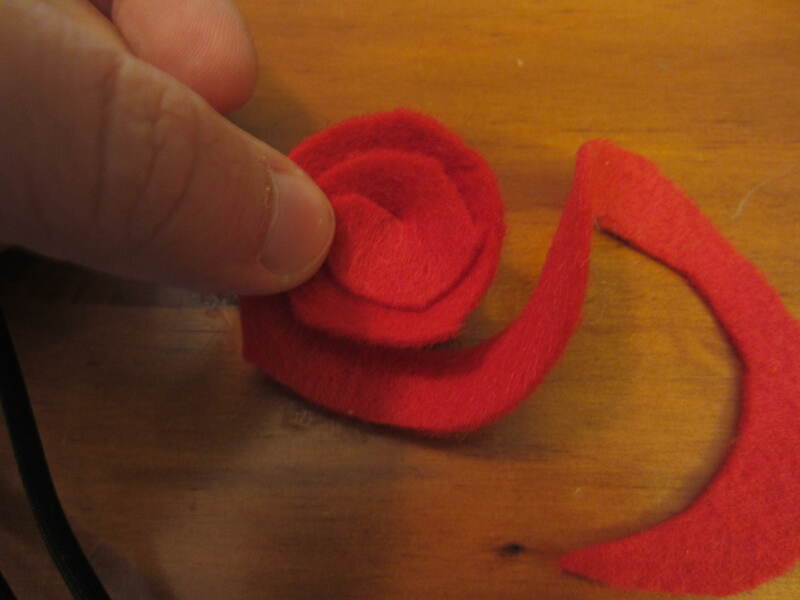 Take one of the red swirls and hold the center part in your hand. Slowly begin stacking it around itself gluing every here and there to keep it together. It will start to look like this. Keep pulling more of the swirl around the center gluing here and there. Be careful not to glue your fingers!! I did multiple times and it HURTS! 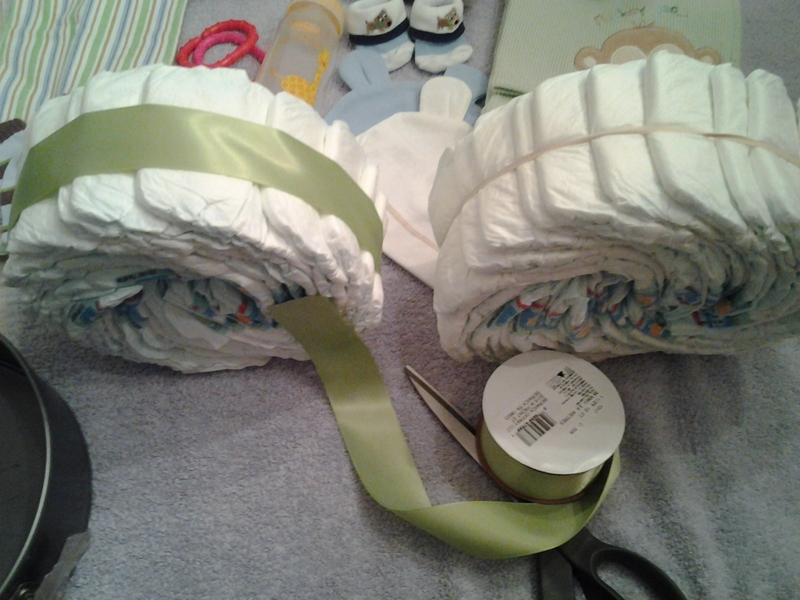 After the flower is complete I began gluing them onto my wreath as I went. Once you have all of your flowers in place it’s now time to add the holly leaves and berries!!! I chose to put 3 leaves with 3 berries on each side of the wreath. Feel free to add berry garland that you can find at the craft store in place of these or anything else you want on your wreath. After adding my holly leaves and berries I added a Christmas Ribbon and BOOM it’s done!! 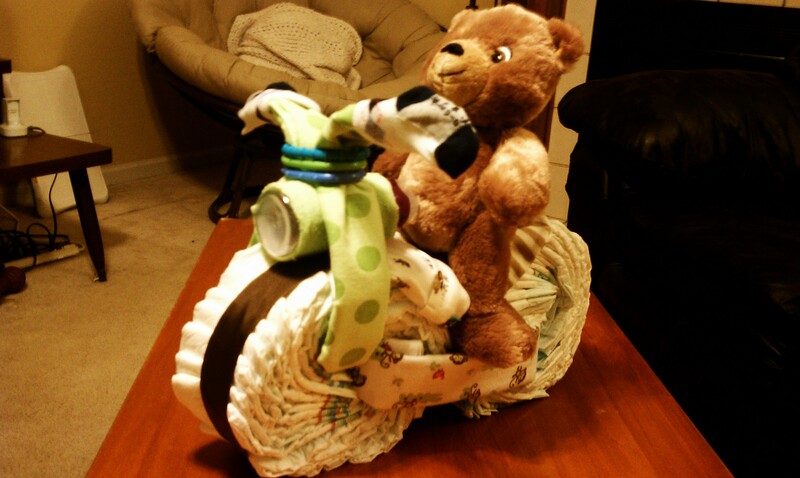 Over the last year I have had a few occasions where I have been asked to make a Motorcycle Diaper Cake for a baby shower gift. I had alot of fun making them and thought I’d put together a tutorial on how to make one yourself. 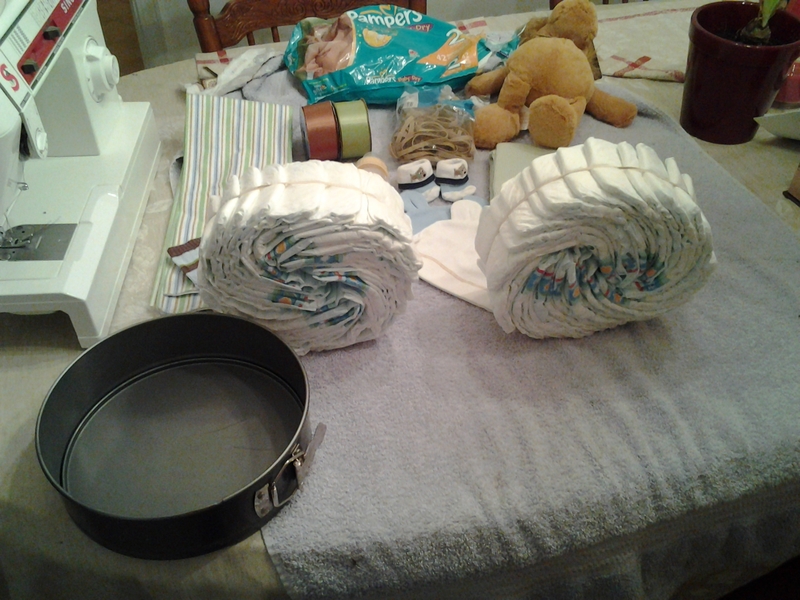 Begin by first taking half of the diapers out of the package (about 17-18 diapers). 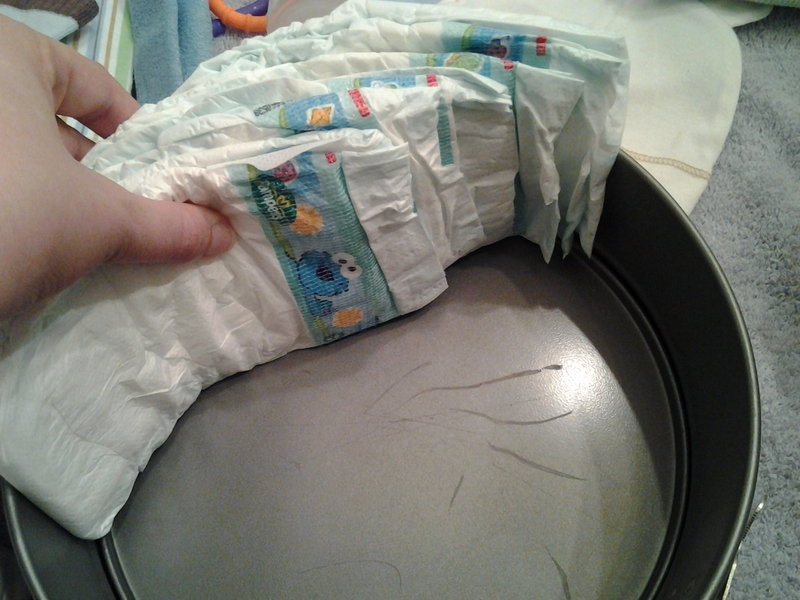 One by one begin layering them around the cake pan leaving a little bit of a gap between where one diaper ends and the next begins. As you get closer to having them all inside the pan they will start to layer onto one another. 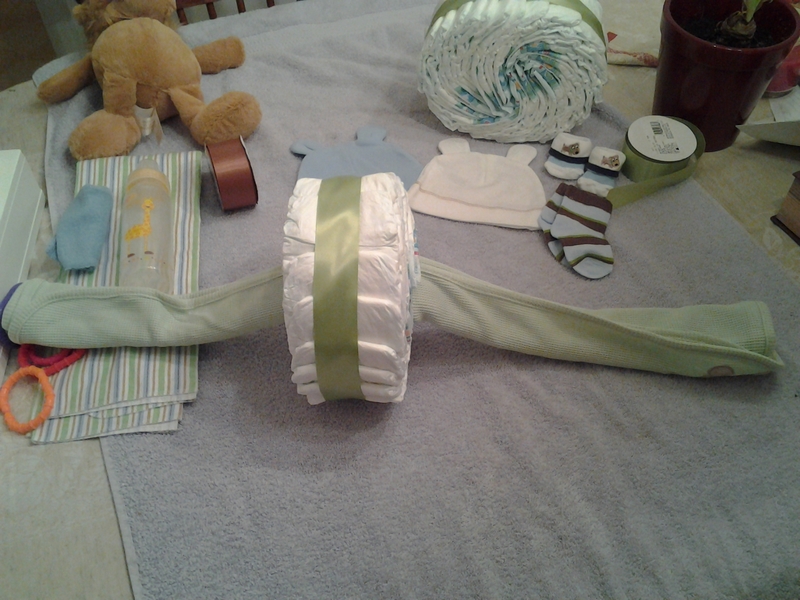 Next take a rubber band and put it around the diapers to hold them in place. Repeat these steps to make your second wheel! Now take your ribbon and place around the newly formed tires. You can use a pin to secure in place, or safety pin on. Now you will take 1 of your receiving blankets and fold it in half. Continue folding until you have something that looks like this. Continue folding until you have this much left. This will be the part that keeps your wheels together. Take one end and bring it through one tire until it is halfway through. You will now have an equal amount of the receiving blanket sticking out each side of the wheel. Bring each side back and tuck into the next wheel. After tucking each end into the back tire you may choose to pin in place or use safety pin to keep it from coming out. If you use pins, just be sure to tell the person receiving the gift that there are a few pins inside. 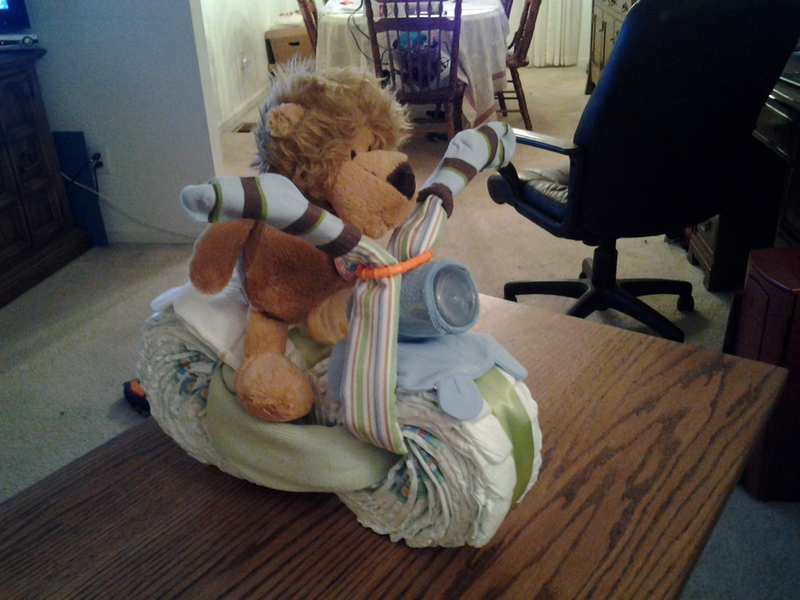 Now we will be making the handlebars to the motorcycle. 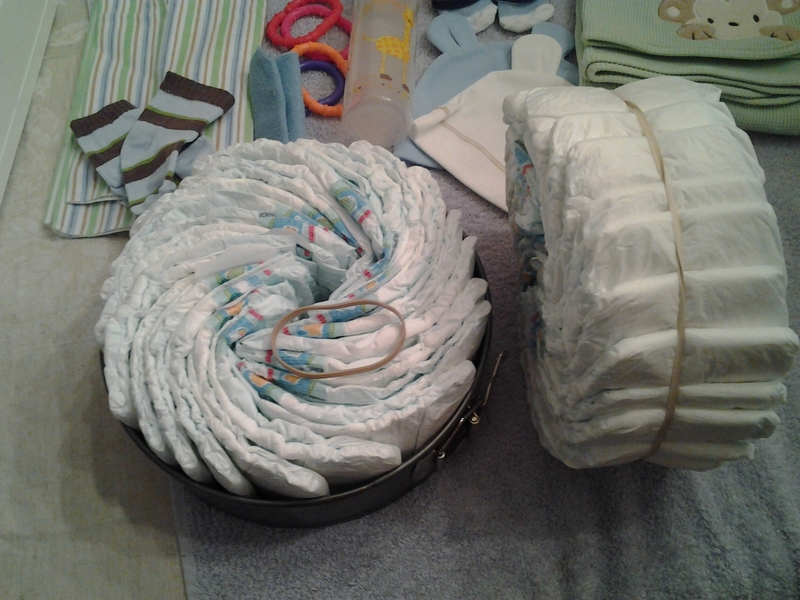 Take your second receiving blanket and fold in half and keep folding the same as the other blanket. Take one end of the handlebar and string through the front wheel on your motorcycle. Bring the two sides up together. 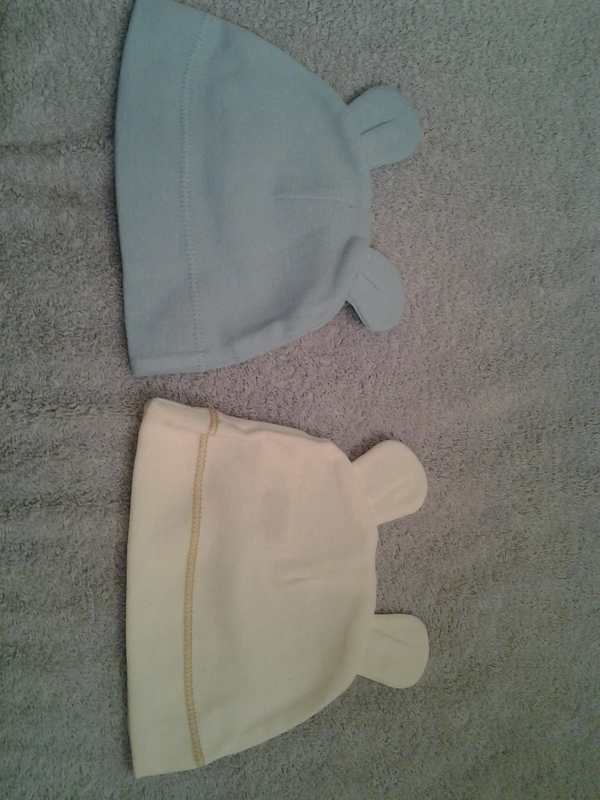 These are the hats I put on top of both wheel to give the bike cute seats! 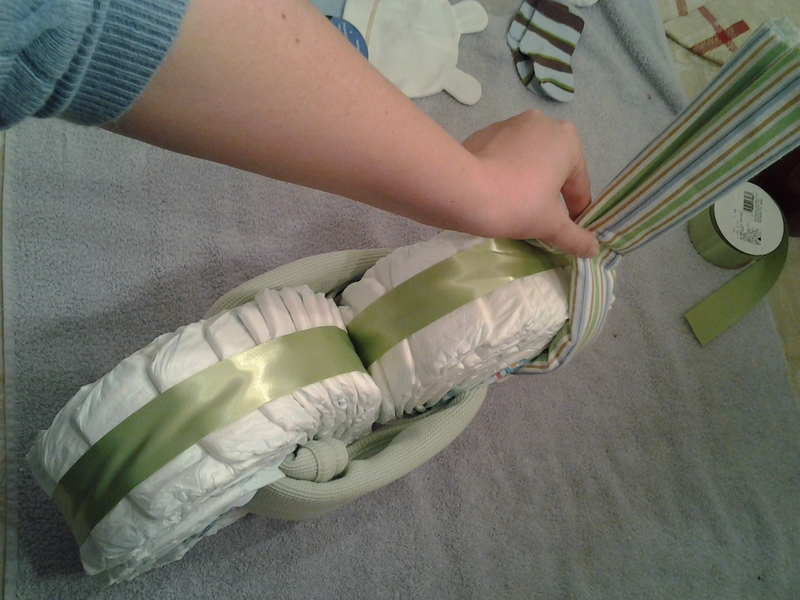 Now take your baby bootie socks and place one on each end of blanket. You now have handlebars for your motorcycle! 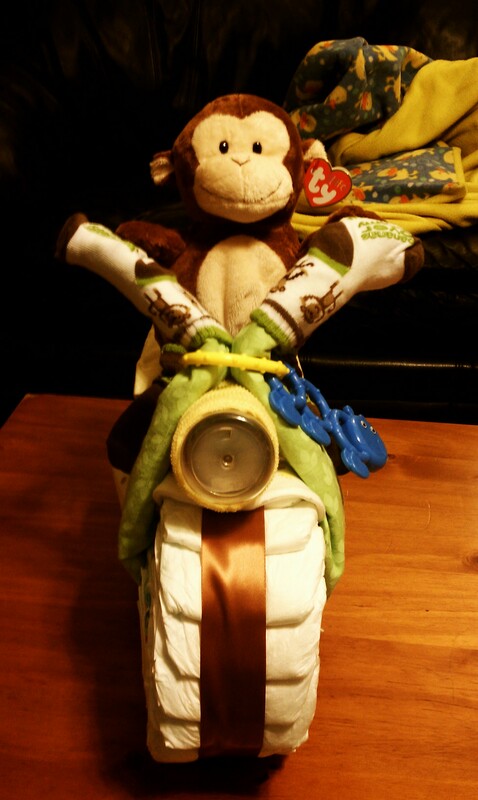 Place your stuffed animal on the bike and you’re done!!! There are many variations that can be done with these. 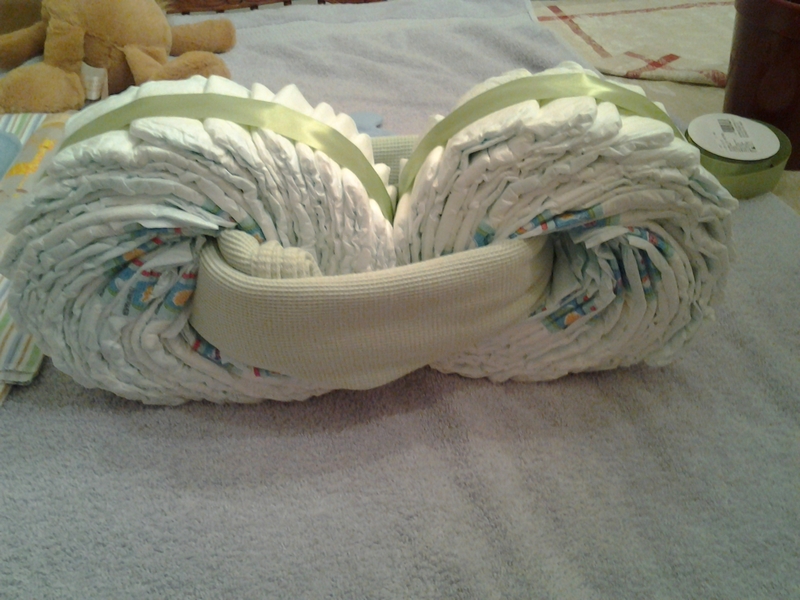 You could use baby bibs or washcloths instead of the baby hats. Be creative and have fun! 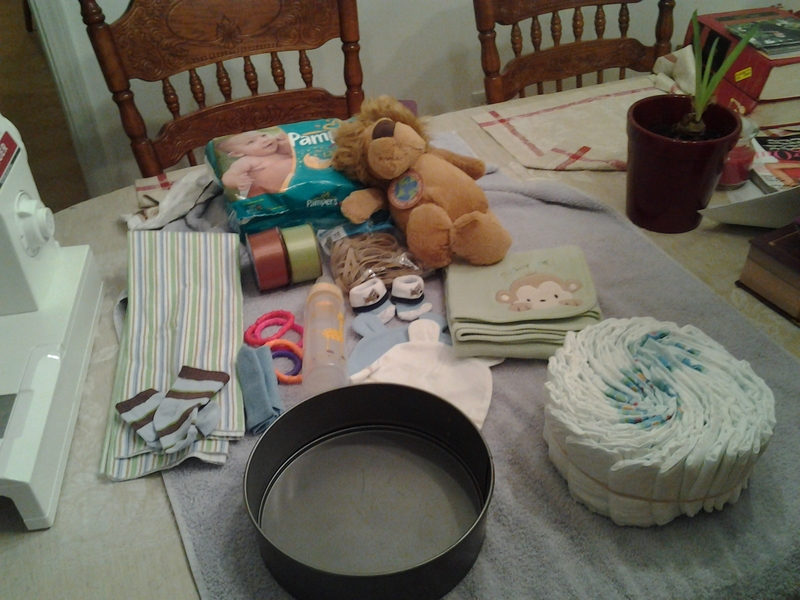 Good luck and I hope you have fun making your diaper cake. Feel free to check out my Etsy shop for more items I’ve made and have for sale! Welcome to my blog! Over the years I’ve enjoyed making all kinds of craft projects. It started off with lots and lots of amazing warm fuzzy fleece blankets. 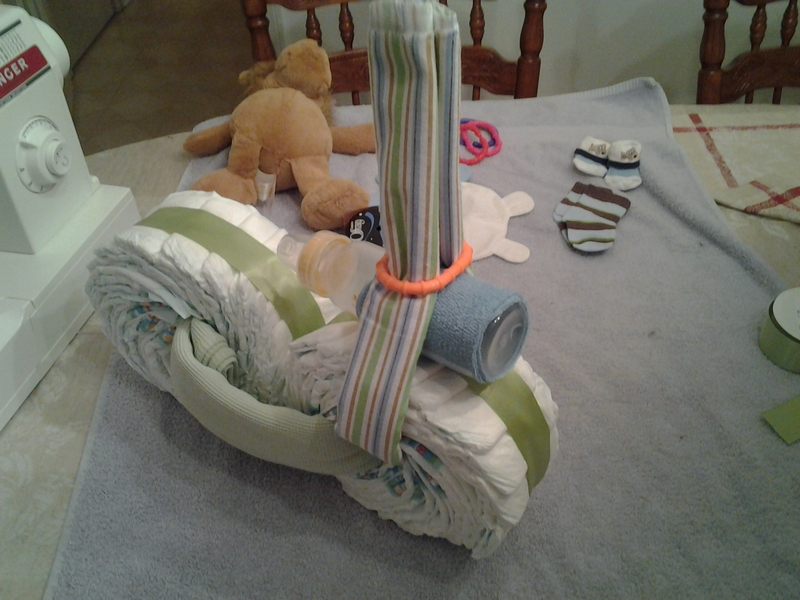 It’s now grown to shell mirrors, shell picture frames, burp cloths, stuffed elep Here I will post some of my projects that can be purchased at my Etsy store!